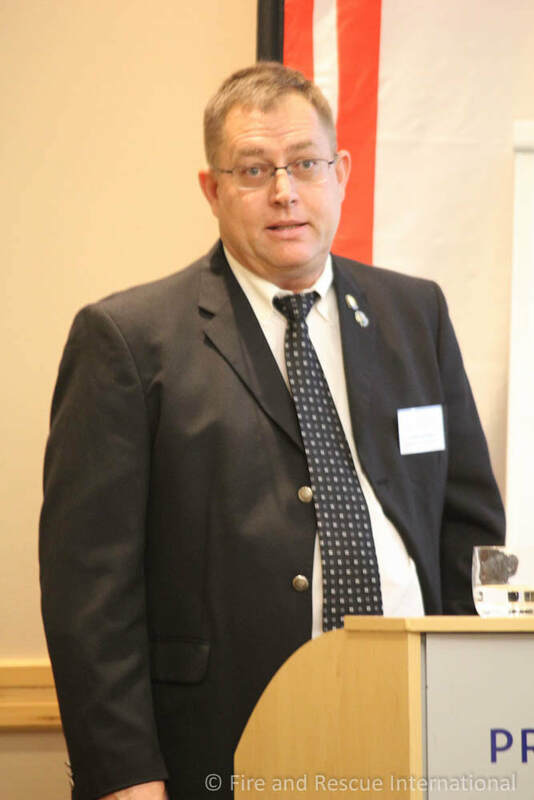 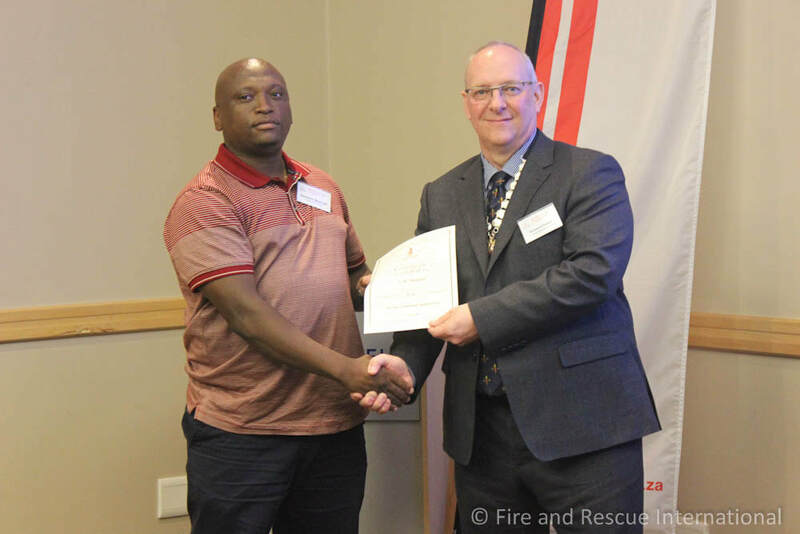 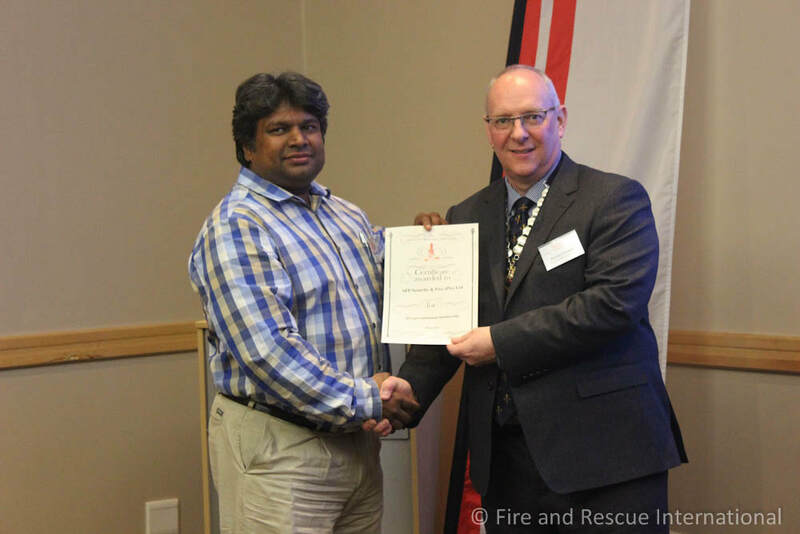 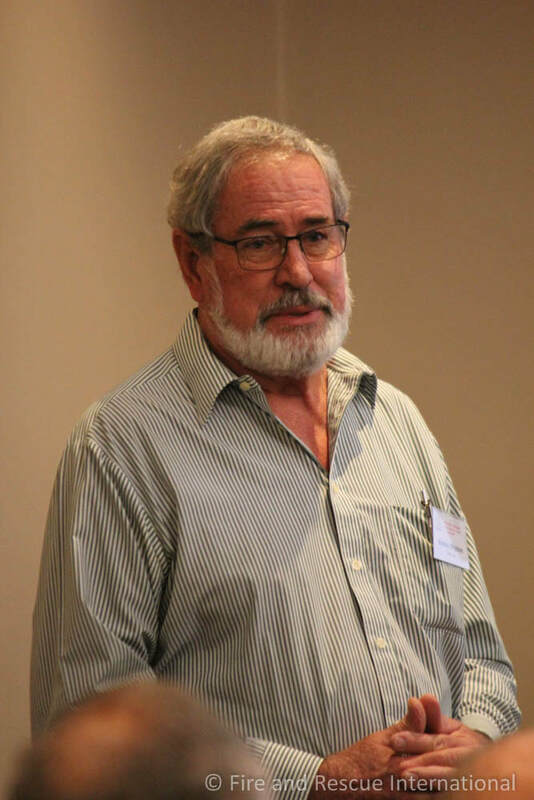 The Institution of Fire Engineers (IFE) held its annual professional development seminar and workshop at the Wanderers Protea Hotel in Johannesburg on 4 and 5 April 2019. 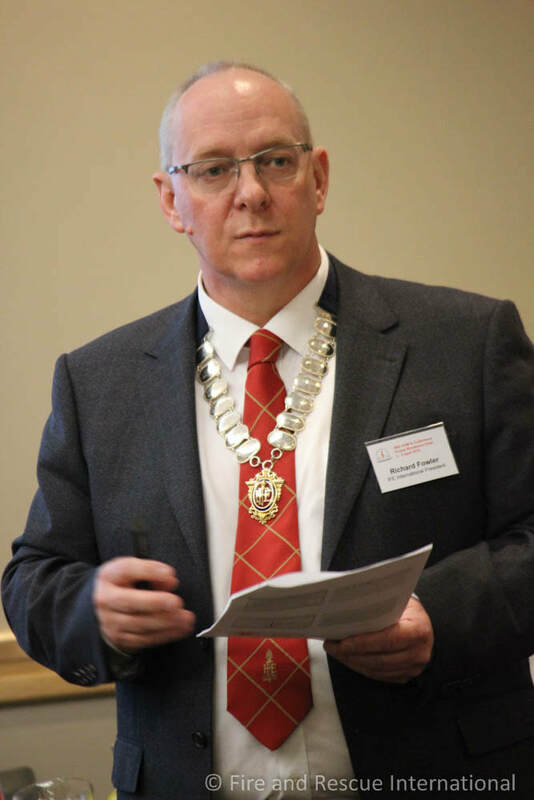 The event was preceded by the IFE’s 66th Annual General Meeting on 3 April 2019 during which IFE president, Mike Webber, was re-elected as president and will serve for a two-year period. 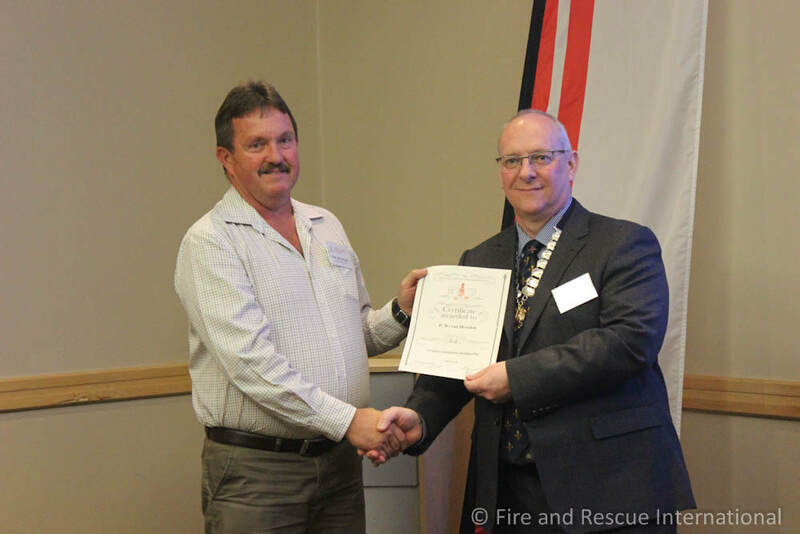 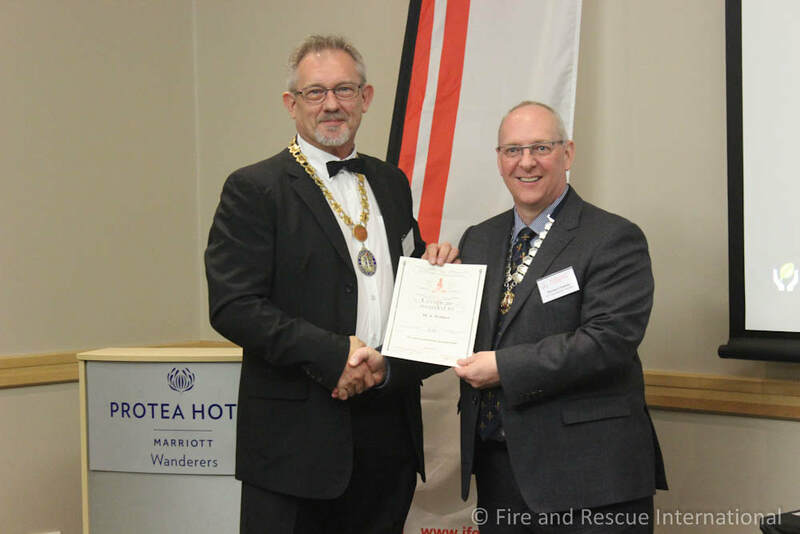 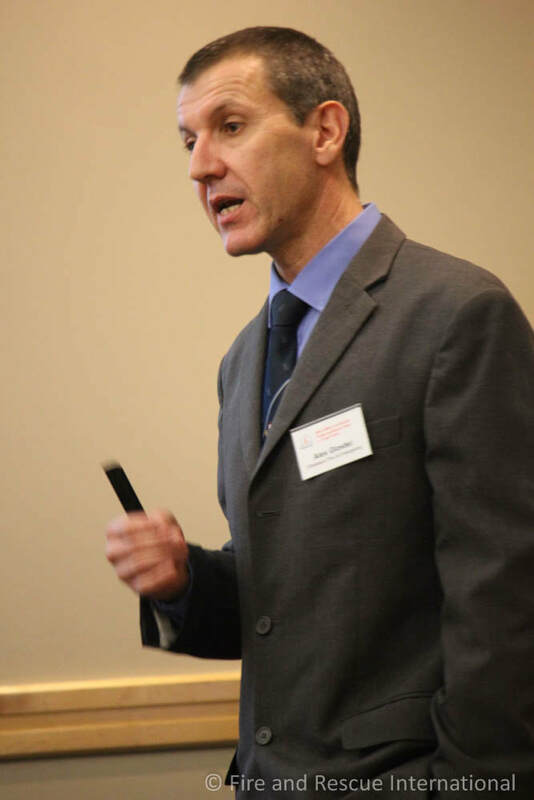 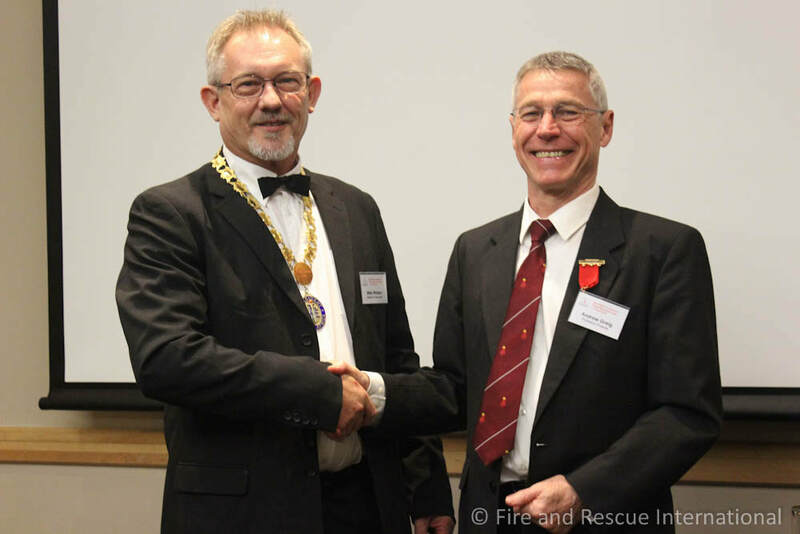 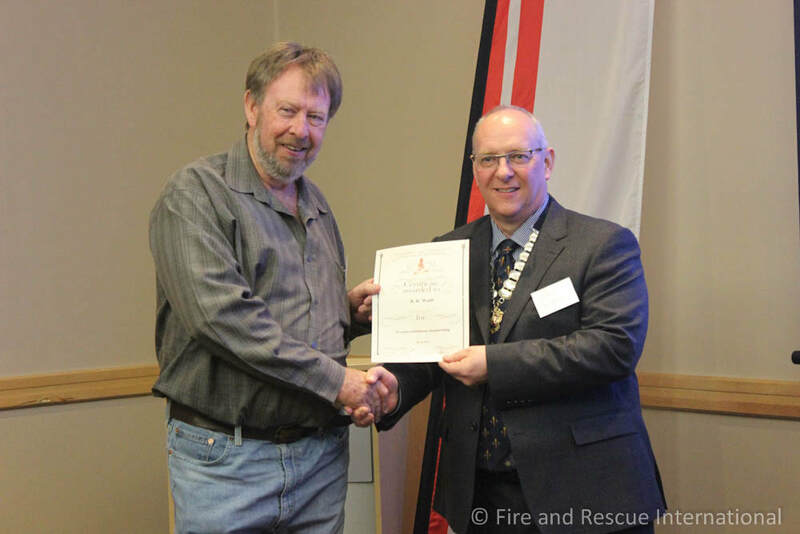 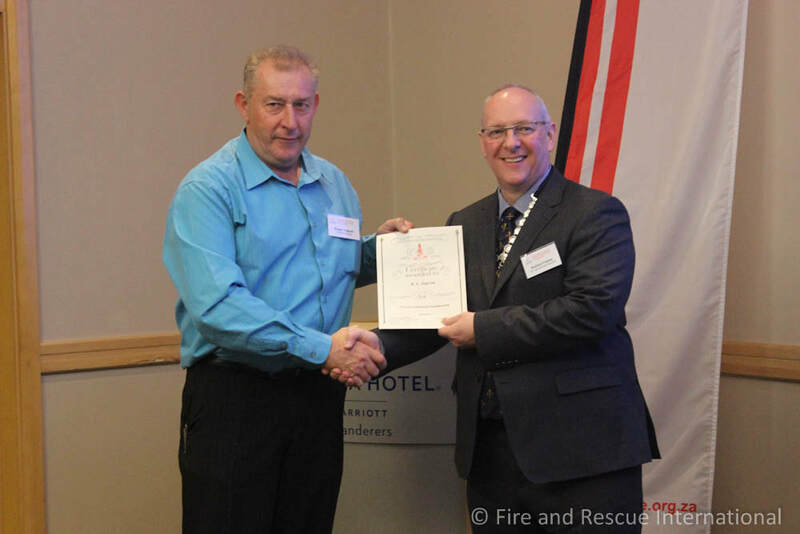 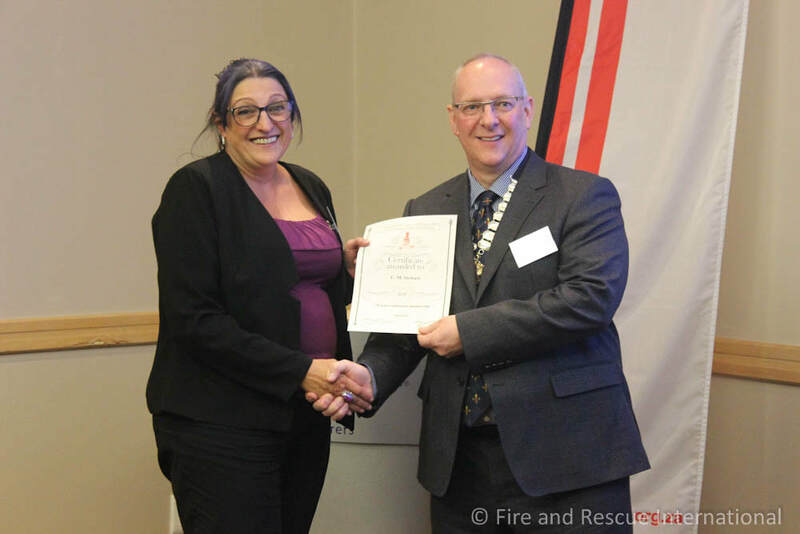 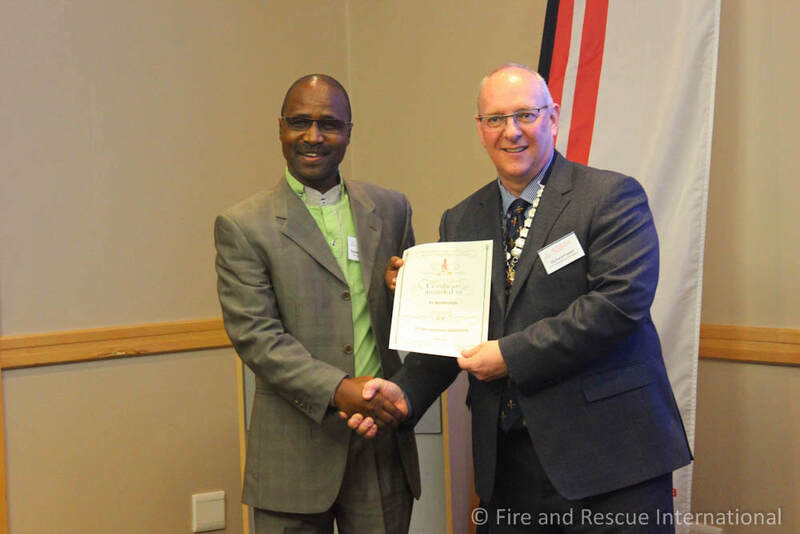 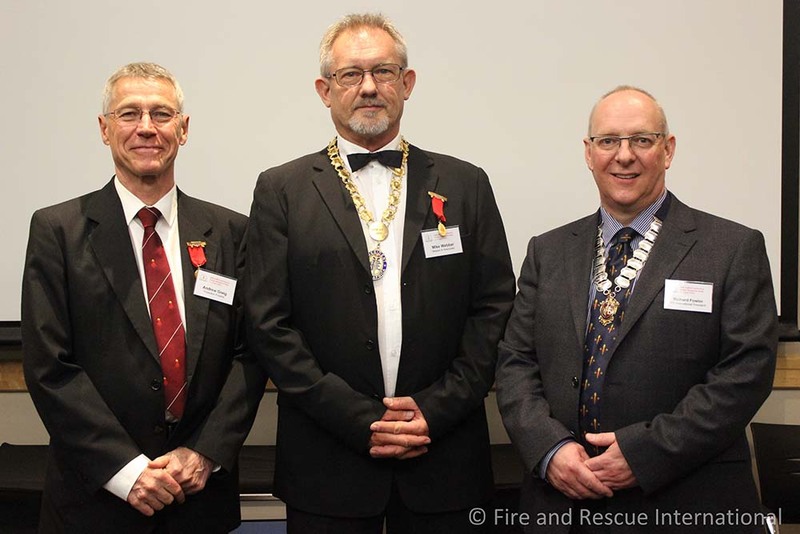 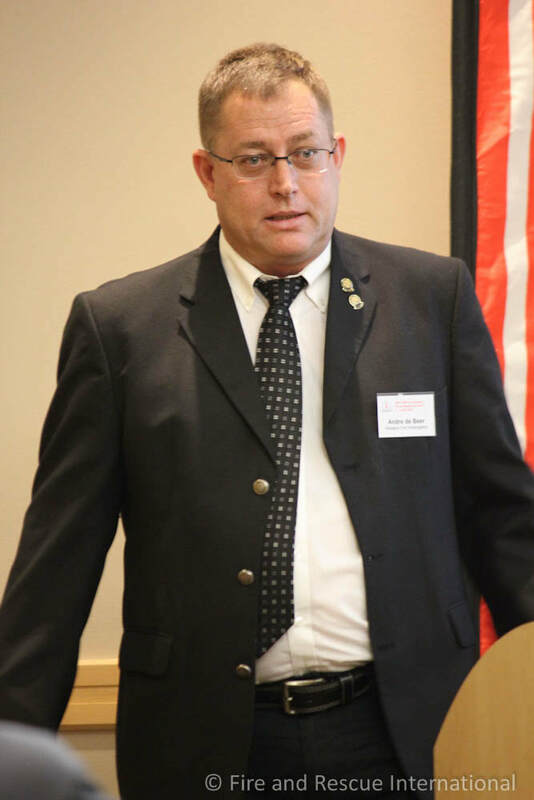 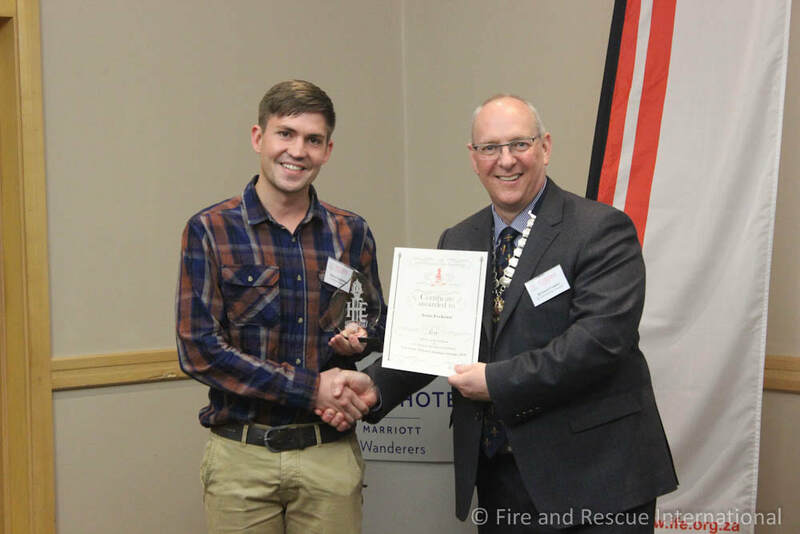 Andrew Greig presented the keynote address, Fire safety, 100 years on… are we any safer? 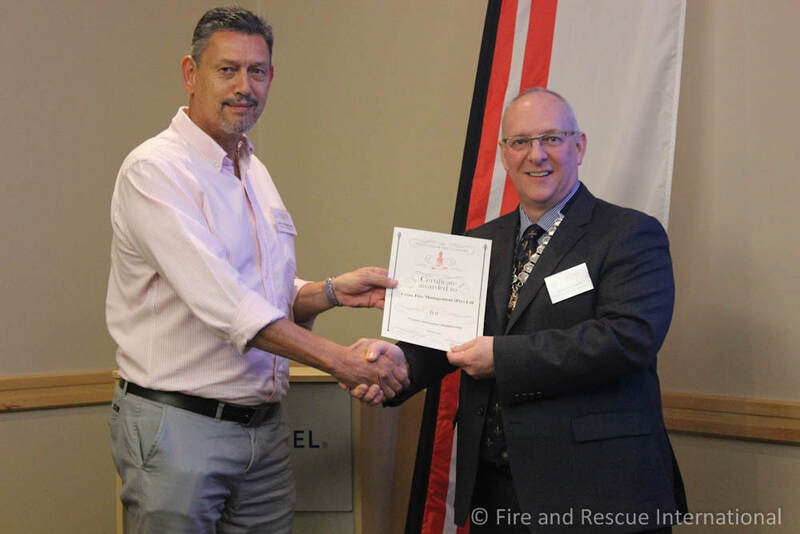 Greig provided a historical overview of major structural fires such as the Triangle Shirtwaist Factory fire in 1911 that resulted in 150 deaths, the Cocoanut Grove fire in 1942 that resulted in 492 deaths, the Bangladesh factory fire in 2012 that killed 112 people, the Lecrosse Towers fire in 2014 and the Grenfell fire in London in 2017, amongst others. 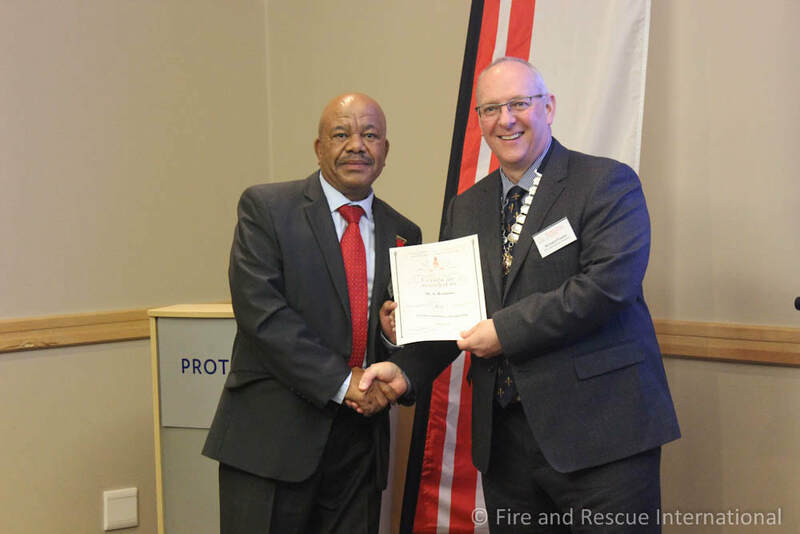 Greig also presented the ‘Recent large loss fires ie Grenfell Towers and the Liverpool car park fire in 2017 and locally the Durban Warehouse fire and the Overstrand wildfires. 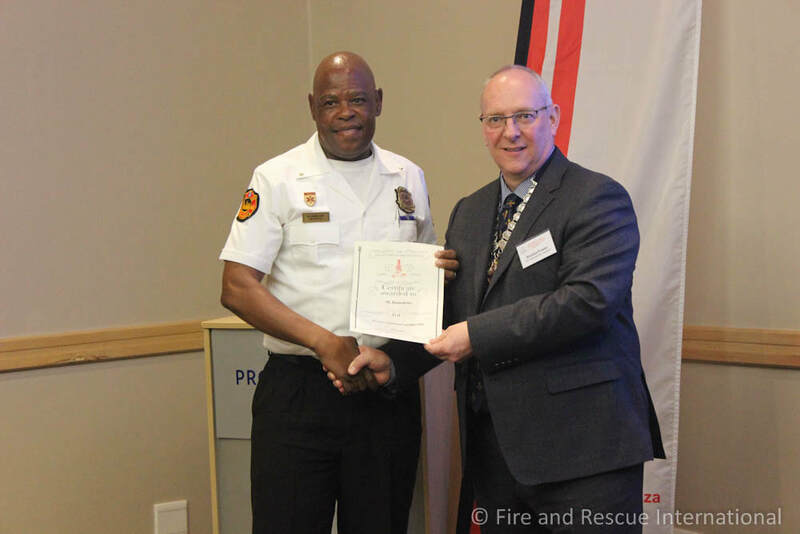 Bevan Wolff provided an insightful presentation on the Bank of Lisbon fire in Johannesburg that claimed the lives of three fire fighters. 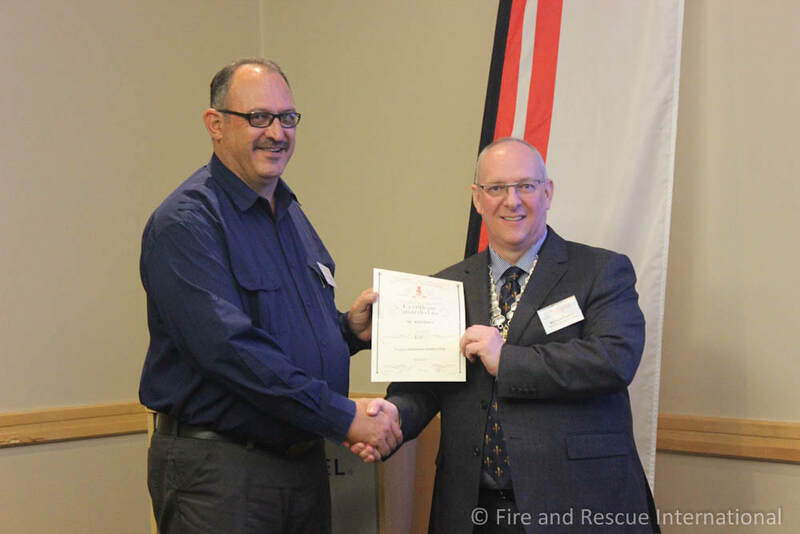 Wolff provided an overview of the construction, fire engineering and fire safety aspects of the 1967 building. 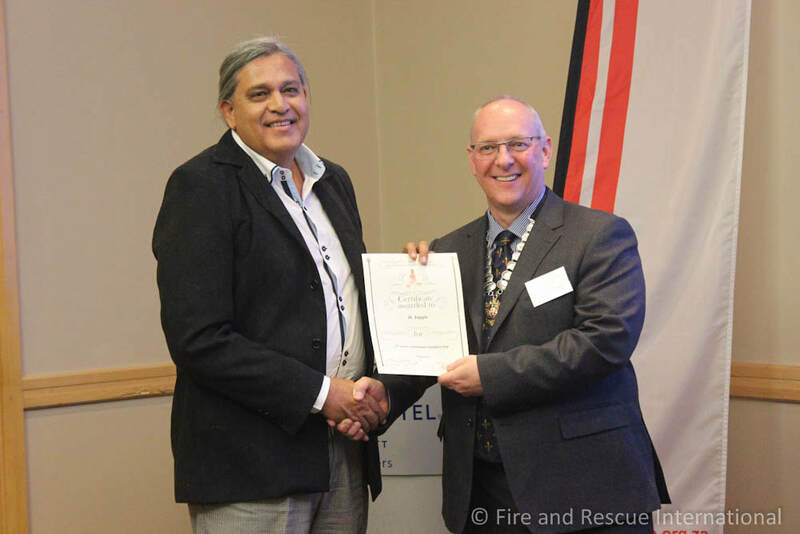 Richard Fowler, IFE International president, provided a presentation on ‘Keeping fire fighters safe: a UK perspective’. 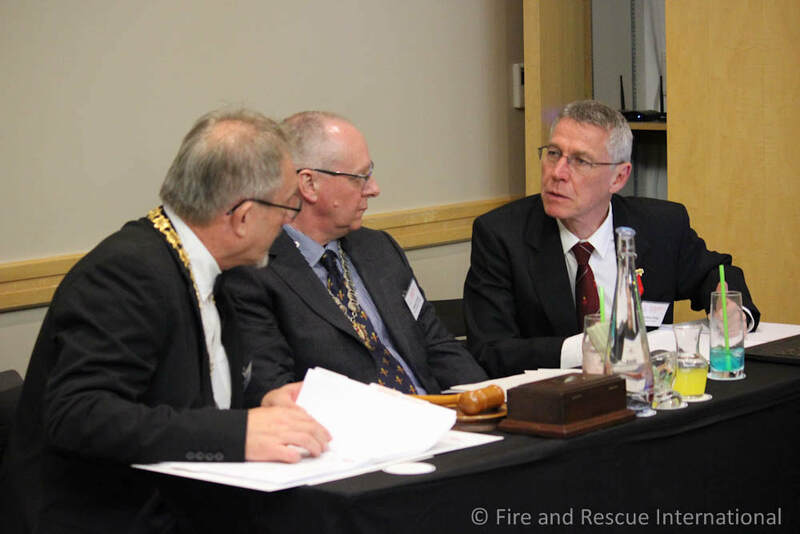 Fowler shared an overview of the IFE’s Special Interest Groups (SIGs) such as Fire Investigation and Research, Fire Modelling, Fire Resistance, Fire Fighter Safety, Heritage Buildings, Transport and Smoke Ventilation as well as the Fire Fighter Safety Database. 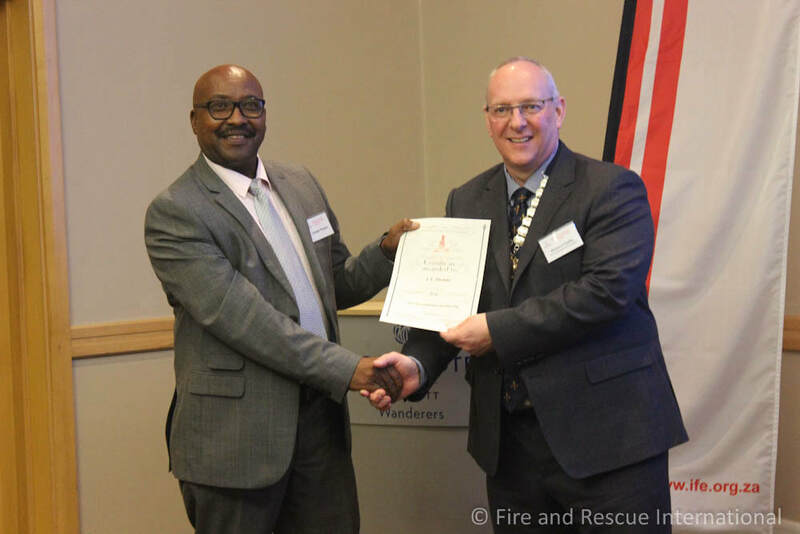 He also provided information on the UK’s incident command system, PPE, the safety officer, BA systems used, training and fitness, site-specific risk information and the responsibility and culture of UK fire fighters. 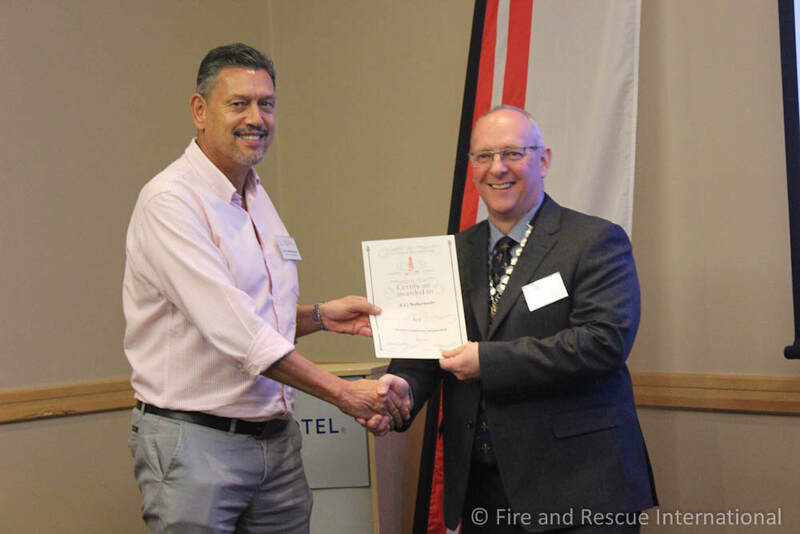 Kobus Strydom discussed ‘Building façade: construction and materials, fire safety testing and certification’ while Alex Gloster provided insight on standard operating procedures, policy and methodology during high-rise building fires. 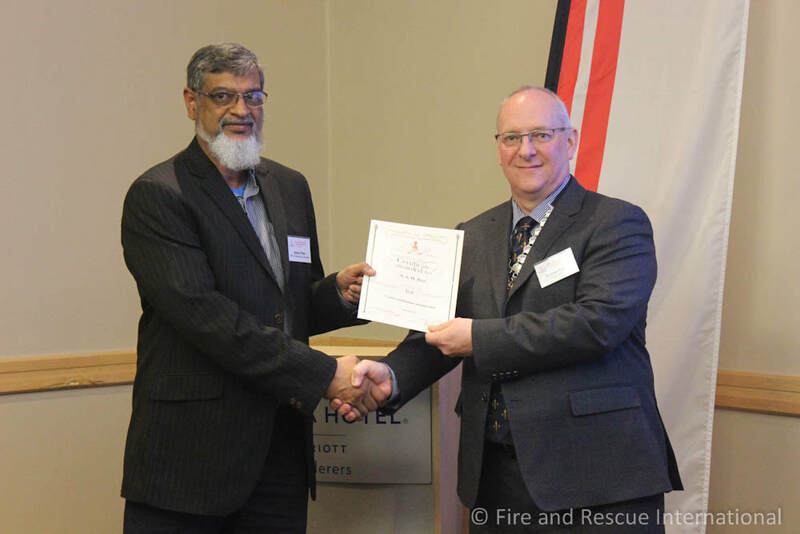 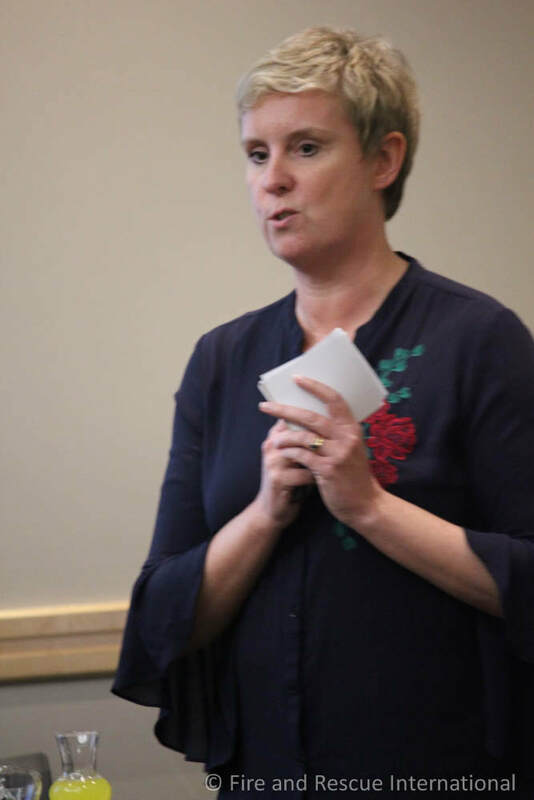 Dr Susan Lamont of ARUP Fire Dubai shared her experience in ‘Safeguarding the fire strategy for the life of the building’ and provided examples of the latest technology used during the design of fire safety systems, saying that the most important aspect of systems design is coordination. 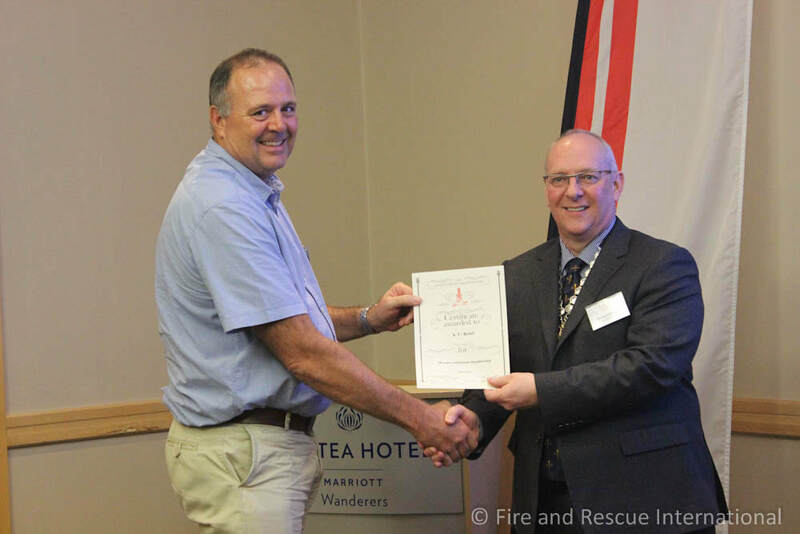 André de Beer provided an interesting presentation on ‘Fire investigation evolution’ during which he shared many videos of post flash over studies performed in the USA showing the influence that NFPA 921 had on the process of the determining the origin and cause of the fires. 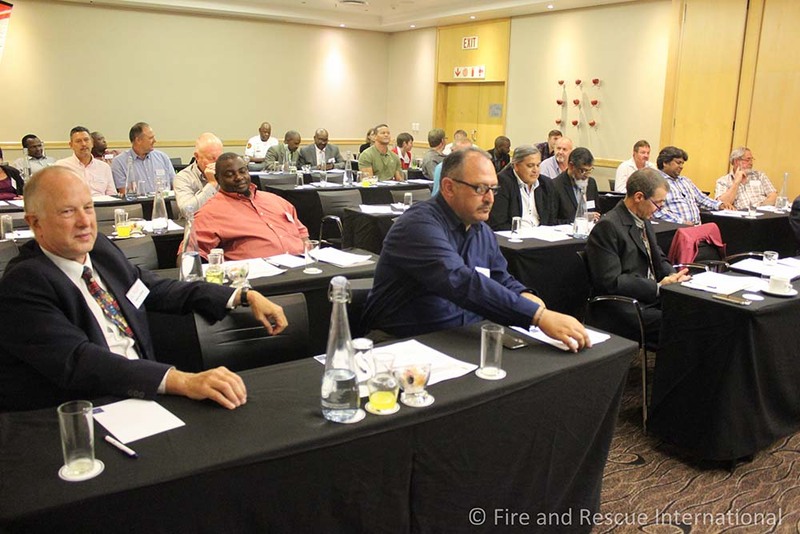 Industry needs to take responsibility for maintaining integrity of buildings once they’re in use. 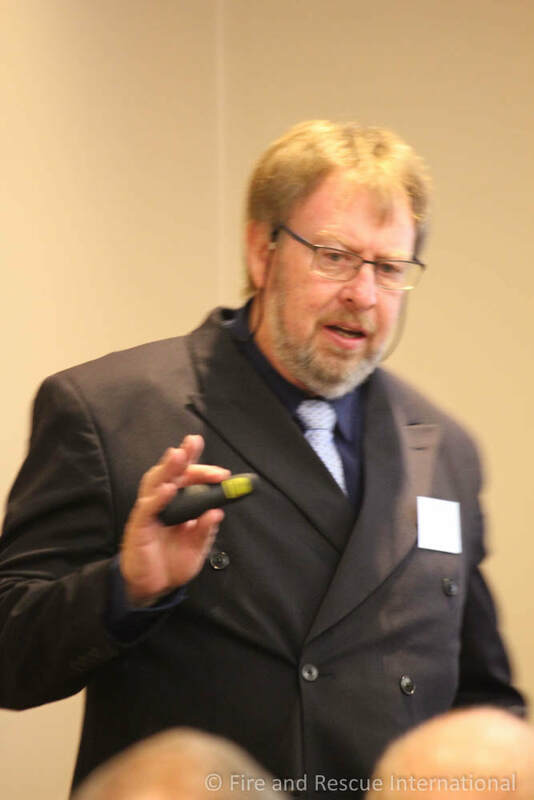 Product testing is not clear. 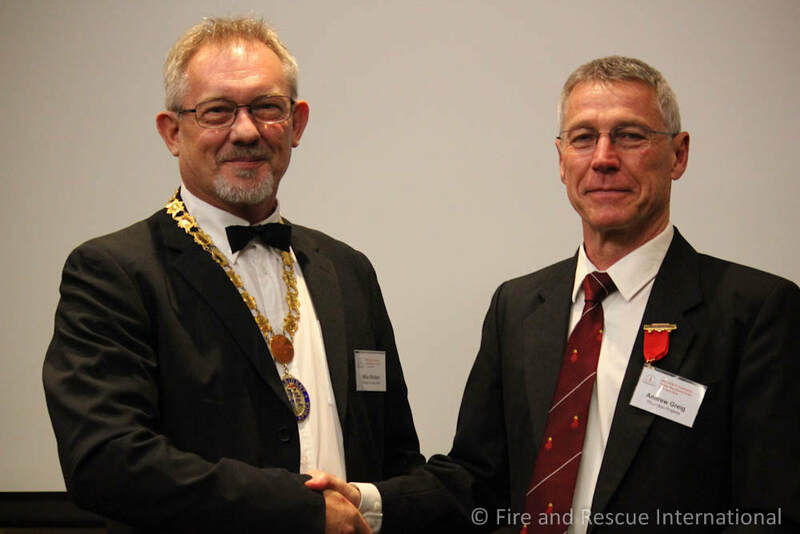 Richard Fowler also provided a brief presentation on professionalisation in fire engineering, which was discussed in groups. 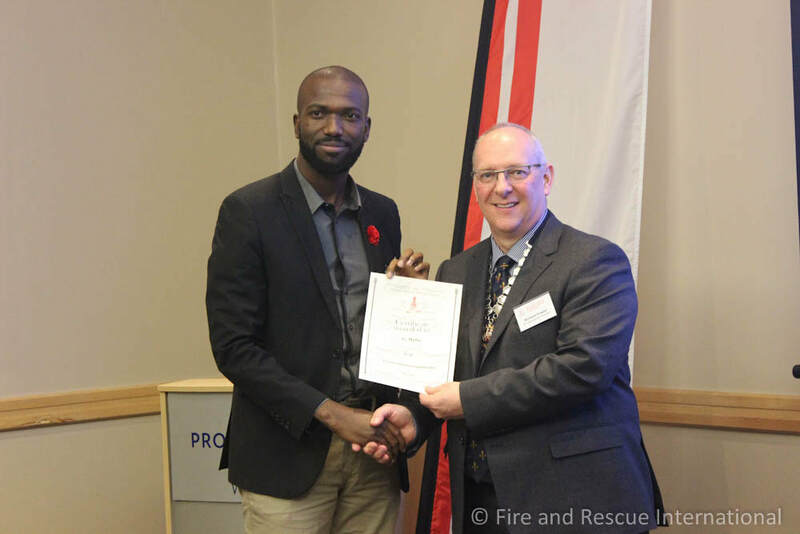 Again different viewpoints were offered from local government fire services, the engineering fraternity and insurance assessors as to how to make these role-players more ‘professional’. 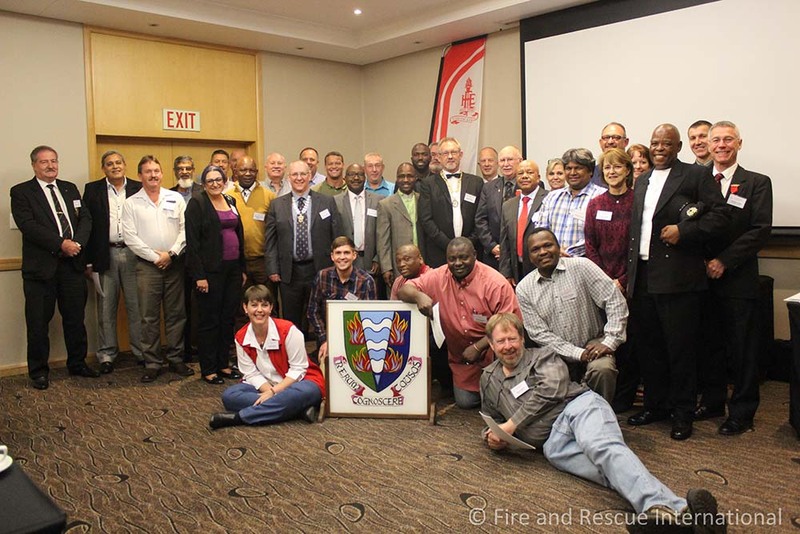 Congratulations to all for their commitment and dedication! 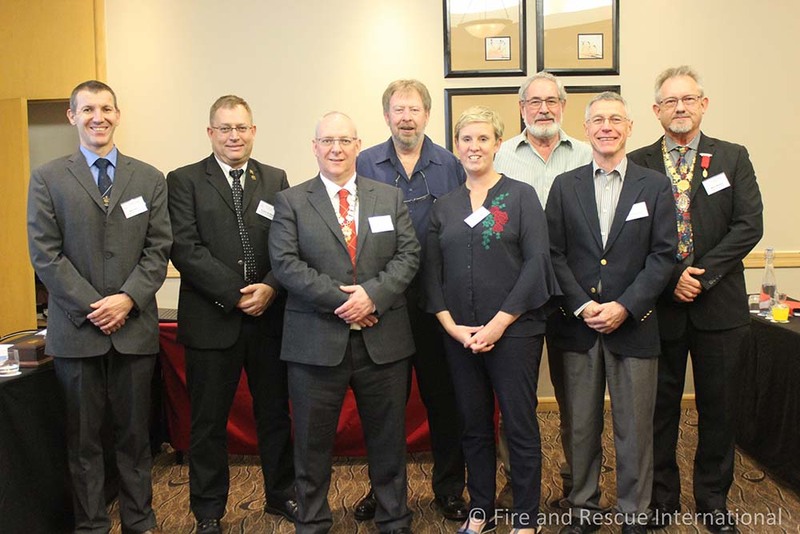 Fire and Rescue International is your magazine. 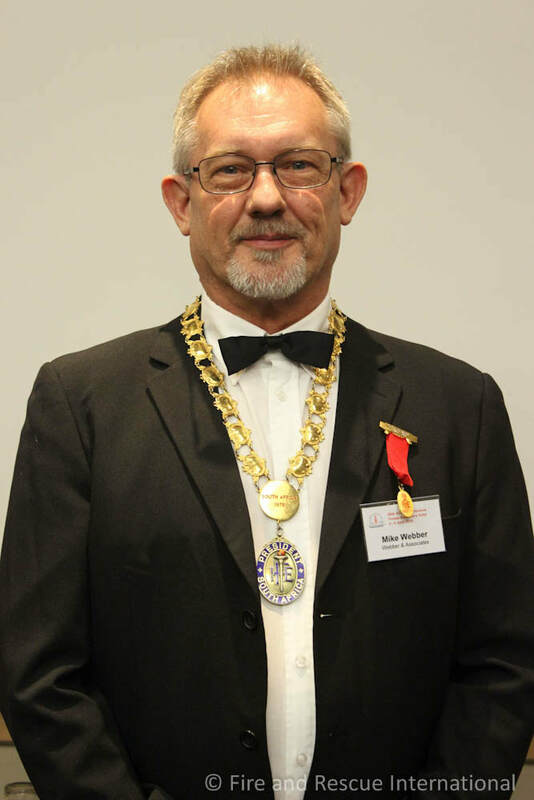 Read it, use it and share it!